As gentlemen get more and more rigorous about their wardrobe, many of the world's fashion capitals dedicate Fashion weeks especially to menswear. They are held twice a year: in January (presenting the Autumn/Winter collections) and in June (presenting the Spring/Summer collections for the next year). Many fashion fairs and trade shows also have sections, dedicated to men's fashion. Ppreviously called the Audi Fashion Festival, Singapore FW gives local designers international exposure and access to CFDA's (Council of Fashion Designers of America) business expertise. It will be held at the Tent@Orchard, Ngee Ann City. 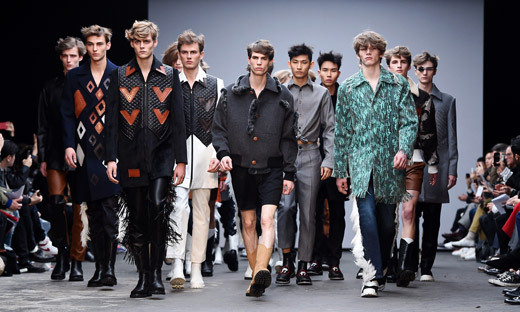 LC: M is a biannual showcase that takes place every January and June and celebrates the creative and commercial importance of the British menswear industry. 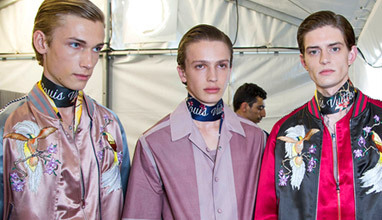 Paris promotes its men's runway shows as a part of its regular Fashion Week schedule. 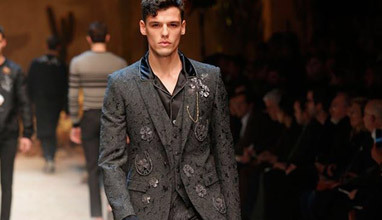 First created in 2011 as Men's Fashion Show and grown into Men's Fashion Week in 2014 - the event presents latest trends in menswear and men's fashion products. In 2015, Men's Fashion Week comes to the city of fashion - New York City - for the first time, with a team of international designers and models to present the trends in fashion and accessories 'Spring-Summer 2016' for men. There will be also a Men's Gallery - a space designed for the display of products for men. Los Angeles is the 5th in the world to develop a Fashion Week for menswear, succeeding New York, London, Paris and Vancouver. During Men's Fashion Week LA (MFWLA), menswear fashion designers and retail brands present their latest collections to industry insiders. Dates unknown yet. 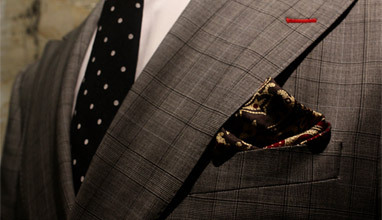 The first menswear event in Canada showcases established and up-and-coming menswear designers. In 2015, the 4th Season of MFW will be held in Prague, Czech Republic. Dates and place unknown yet. It aims to showcase the best in established and emerging Canadian menswear designers. The Best in Innovative Menswear in Canada. Dates and place unknown yet. The event offers a peer-to-peer exchange of ideas with thought leaders and disruptors from across the fashion industry, curated by WWD editors exclusively for the designers, brands and retailers who are transforming the men's industry. 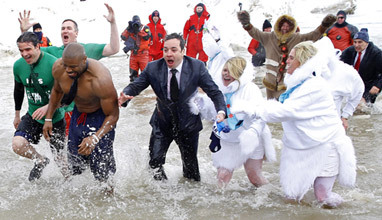 Themes include Street Athleticisim Explosion. 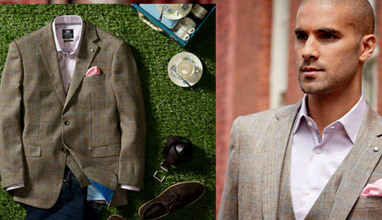 Power Of Culture, Lifestyle & Made To Measure, Merchandising Story, Future Of Menswear. 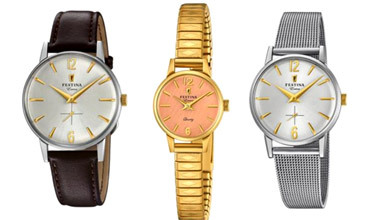 Men's and Women's trade exhibition / Women's, Men's and Accessories collections. Launched in 2006, COAST is rapidly becoming a global tradeshow, offering the latest trends in women's fashion, men's fashion and accessories. 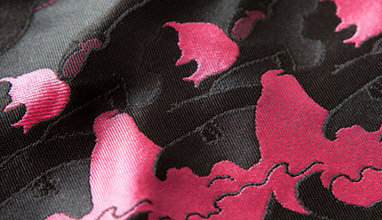 It bridges international designers and retailers from around the globe. One of the world's most important platforms for men's clothing and accessory collections and for launching new projects in men's fashion. Leading international and contemporary fashion tradeshow during the Milan Fashion Week. WHITE offers to buyers a unique brand-mix that aims at showcasing the best designs from international contemporary men's and women's fashion. The careful selection relies on brands which are yet little known by the Italian fashion system, but are regarded worldwide as the most innovative voices among the emerging fashion labels. Marketplace for leading Brands. As an overview of the most important trends and tendencies of the coming season, Panorama Berlin presents a contemporary and relevant selection of women's and men's collections, shoes and accessories by market leading brands. The new premium menswear platform at Modefabriek, brings together premium heritage and new generation menswear brands. The brand selection within Style Matters varies from casual sportswear to business smart, supplemented with an exclusive selection of accessory brands. In addition to menswear, Style Matters is also presenting a number of premium niche brands, varying from fragrances to electronics. 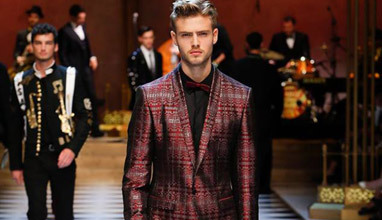 A global fashion trade show focusing on menswear brands and men's fashion industry, representing the best collections in all menswear categories from the United States and abroad. MRket is the only show in the US to spotlight a MADE IN ITALY section and a UK Design area. The event includes also Vanguards Gallery - an incubator for new and emerging brands curated specifically for the attendees. Gold area - International agencies with premium brands and Independent internationally established collections. Silver area - Contemporary fashion and Design-oriented brands. White area - World of Accessories. The event is held twice a year and provides a wide-ranging order platform for the sophisticated and exclusive genre, but also for progressive labels. For many labels, Düsseldorf is the ordering entry into the German market, followed by Supreme Women&Men in Munich, which is used, around two weeks later, for concluding orders. CIFF is the leading and most innovative platform in northern Europe, presenting carefully curated areas for premium brands. A new and exclusive men's collections and lifestyle platform, CIFF RAVEN, was launched in the Fall-Winter 2015/2016 edition. Uniting business with contemporary fashion trends, CIFF RAVEN is a meeting point for international buyers, press and retailers. Location for Spring/Summer 2016 is not yet known. International fashion trade show Revolver presents Scandinavian design driven fashion brands as well as likeminded quality brands from outside of the region. This order-platform for both mens- and women's wear attracts the best buyers from the Nordic region as well as the best international buyers, in order to do business, discover and network. As the original show at MAGIC, MEN'S sets the precedent for the marketplace. With a lasting and impressive collection of traditional, young men's, and streetwear brands, MEN'S continues its legacy as the go-to market for branded menswear. MEN'S is held in Las Vegas every February and August at the Mandalay Bay Convention Center. The Italian Textiles Trade Show is held twice a year (February-September), presenting the finest quality products from both Italian and European textile manufacturers. It has a special section dedicated to men's fashion - IDEABIELLA. Textile manufacturing trade fair and an International business platform offering menswear, sportswear, shirting, tailoring, coats, underwear, swimwear, uniforms, knitting, ladieswear, childrenswear and fashion accessories (bags & leather goods, shoes, gloves & scarves, socks, hats & caps, ties & bow ties, etc). Yarns and fibres, fabrics, leathers and furs, designs, accessories and components, manufacturing. 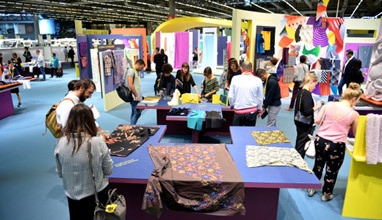 For 3 days, 2 times a year, at Paris-Nord Villepinte, the six major industries supplying materials and services to the global fashion industry, come together in Paris. Six complementary shows, brought together in one place, where the entire fashion industry meets. Première Vision Paris is an essential business hub, where 62,000 industry professionals from over 120 countries come together to share ideas, do business, work and build their new collections.